Every time March approaches, there is some excitement going on in the collegiate basketball scene. After all, it is time for March Madness or the NCAA Division I Basketball Championship. One of the things that many avid collegiate basketball fans are looking forward to is the March Madness brackets games. Friends and other fans pool in prize money for coming up with the most accurate brackets to guess who will be the next NCAA Division I National Champions. People start building their bracket choices and which teams will advance to which rounds. The person able to get the brackets right becomes the winner of the prize money. Although it may be a friendly game among friends, there are also other companies offering prize money to determine who gets the most accurate bracket at the end of the tournament. While the bets are usually for some good-natured fun, others are taking it very seriously. 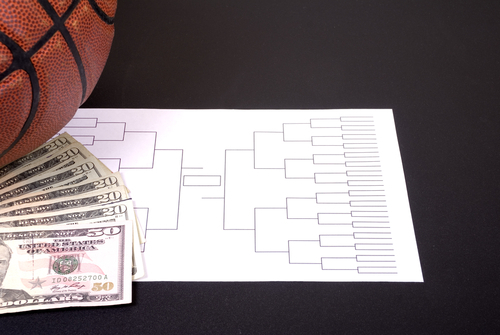 For those who do, the Billion Dollar Bracket may just be quite enticing. The Oracle of Omaha, Warren Buffett and Quicken Loans are offering a cool $1 Billion dollars to the person who can make a perfect bracket this year. This means he or she must be able to correctly determine which team moves on for each round, from the start of March Madness to the National Championship. This contest is open for the first 15 million brackets pool players (which is now closed) to sign up. As everyone should be aware by now, one needs to make the perfect picks for every match up in the bracket in order to win the $1 billion prize. While exciting, it may be very difficult to do. Making the perfect bracket pool play by picking all 64 matches correctly may be similar to hitting the jackpot, even harder. Crunching up the odds, many numbers expert believe that there is a 9.2 quintillion to one chance that anyone can get it perfectly. But it is always worth a try.